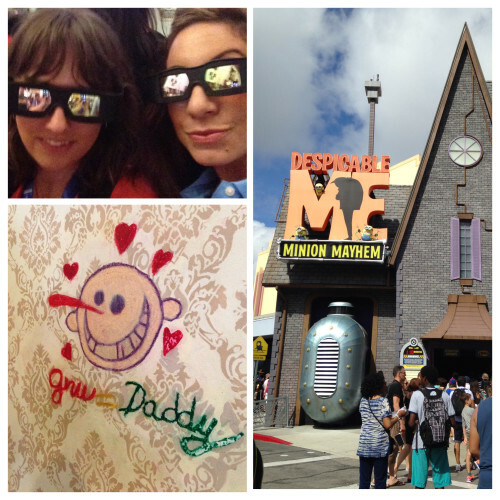 How to See Universal Orlando In One Day During your Orlando Vacation! 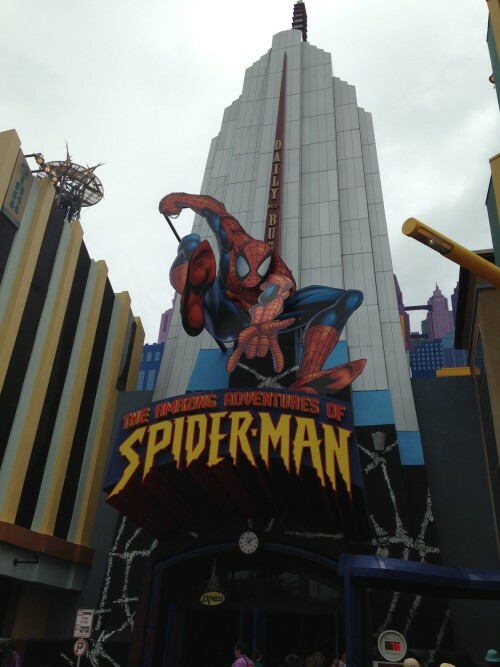 During my recent trip to Kissimmee, I had the opportunity to visit Universal Orlando Theme Parks. There’s so much to do and see at both Universal Studios and Islands of Adventure, that you could easily stay a week and not get bored. 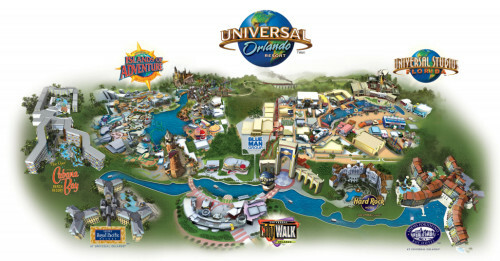 But what if you need to see Universal Orlando in one day? Here’s how to make the most of your visit. Purchase tickets – Save yourself some time in the ticket line and go ahead and purchase tickets before you arrive. Be sure to choose the park-to park option so that you can see Islands of Adventure as well as Univeral Studios and ride the Hogwart’s Express between them! Make a lunch reservation – Yes, grab-and-go options are faster, but a Universal Orlando full service restaurant is something you’ll want to experience! Enjoy lunch and use the opportunity to rest, cool off, and plan the rest of your day. Save the grab-and-go for the evening. 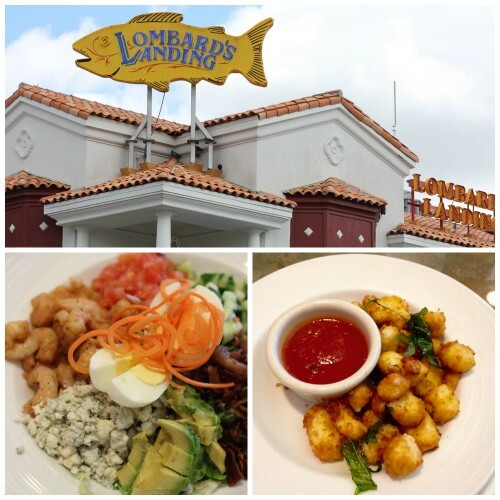 During my trip, I had the opportunity to dine at Lombard’s Seafood Grille and the shrimp cobb salad was divine as were the cheese bites appetizer. Another great option to consider is Mythos Restaurant which has won Best Theme Park Restaurant award from ThemeParkInsider.com 8 times! 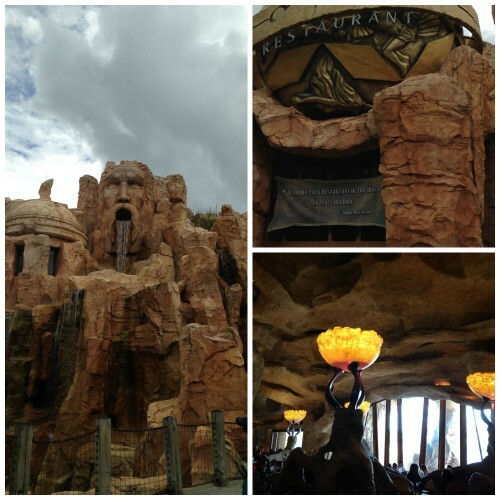 Mythos provides a lovely, relaxing atmosphere where you can dine, cool down and take a break. 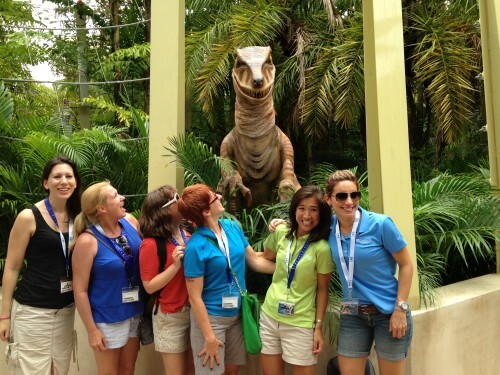 Plan your Route – Since you are seeing Universal Orlando in one day, you’ve got to have a strategy. Download and print the detailed PDF Universal Orlando Park Maps that they are kind enough to provide, and familiarize yourself with the layout of the parks. Now is the time to prioritize what’s important for your group. Thrill rides? Kids’ attractions? Harry Potter? Also find out what the park hours are for the date you plan to attend. Arrive before opening – Be in line for bag inspection with your pre-purchased tickets before the park opens. Pack light – If you can get away without bringing a bag into the park, that’s best. 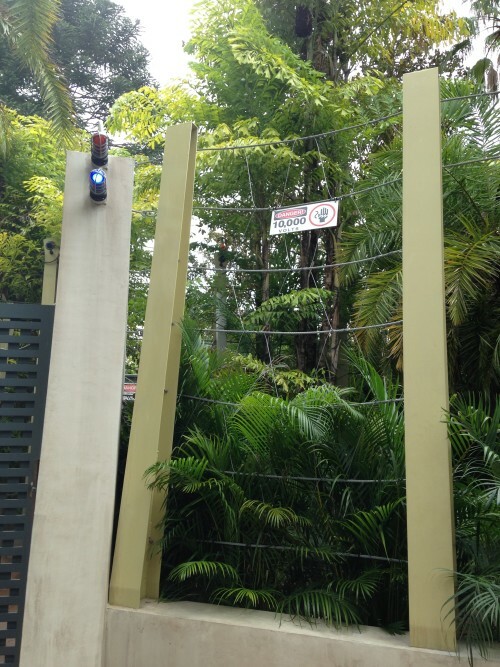 Not only will you save time getting into the park, but you won’t have to spend time locking up your valuables in the (free) lockers before queuing up on the thrill rides. I realize this is impossible for groups with kids, etc. so don’t worry! Just focus on bringing the minimum that you can and consider consolidating your items to one person in the group. It’s faster to get one person through bag inspection than 4, and it’s easier for one person to visit the locker area to take care of personal items while the others get in line. Consider splitting up – This is useful with a small group and absolutely imperative for large ones. You’ll get so much more done in smaller groups, plus it allows for those with different tastes in attractions to do what they like. You’ll all be meeting back up for your lunch reservation, remember? 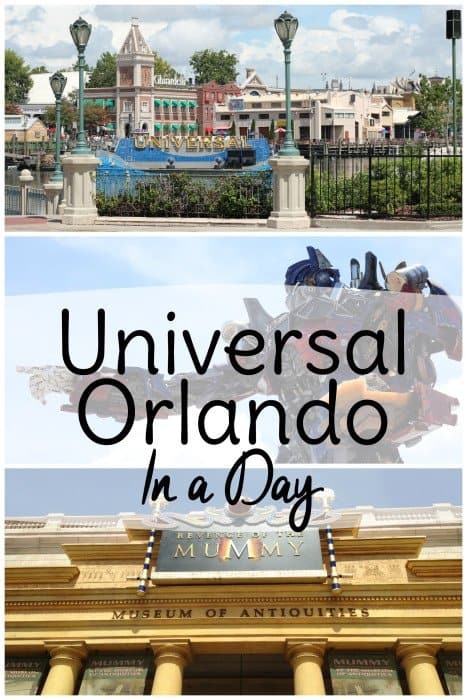 Those are some general tips to see Universal Orlando in one day. Next, I’m going to give you an overview of some of my favorite Universal Orlando Rides and then do the same for Islands of Adventure rides. You’re required to lock up personal items in the free provided lockers before riding Hollywood Rip Ride Rocket and your pockets will also be inspected via metal detector as no technology such as phones or tablets are allowed on the ride. 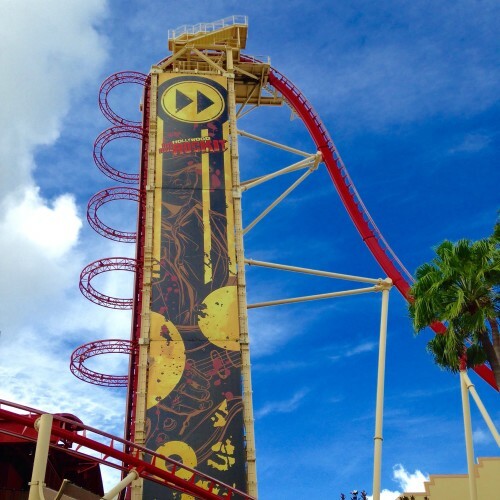 For this reason, the line tends to back up so if it’s on your list during your Universal Orlando in one day adventure, you might want to visit it first thing. 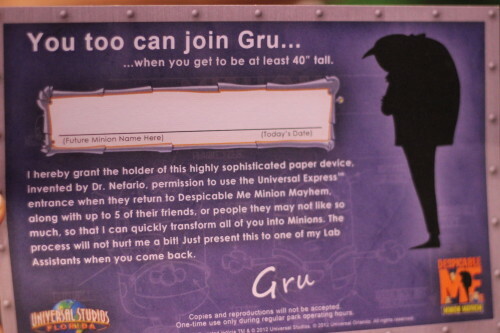 If you have kids in your group or are just a Despicable Me fan, you won’t want to miss Despicable Me Minion Mayhem. It’s a good idea to hit this one early too as it’s popular! Gotta love those Minions. Note that you must be 40″ to ride. If your child doesn’t meet the height requirement, ask a staff member for a certificate. On your next visit to Universal Studios when your child is tall enough to ride, your party will go straight to the front of the line! This is an option for several rides at the park. You can also sooth their disappointment at the gift shop which contains Despicable Me merchandise the likes of which I have never seen. I brought home the Three Little Kittens book that Gru reads to the girls in the movie. My kids loved it! Revenge of the Mummy: I was a little scared on this one! Mummies, actual fireballs being thrown at me…whew! It was intense. 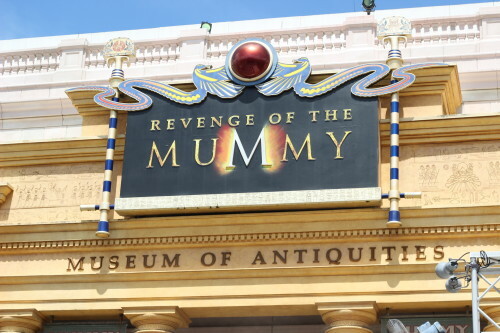 If you love thrills and appreciate details and theming, don’t miss Revenge of the Mummy. Similar in ride style to Revenge of the Mummy (they are both indoor coasters with special effects) is Transformers: The Ride 3-D. While the ride itself is intense and adrenaline-pumping, don’t miss out on the character interactions that are available. The technology is incredible! 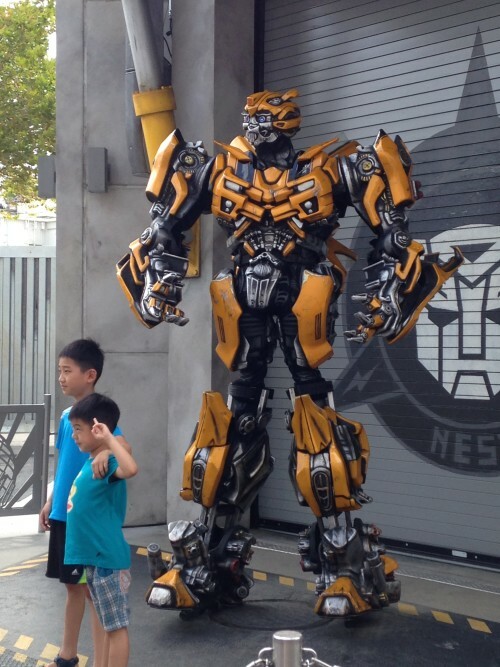 I was in awe when Bumblebee walked out and started dancing and posing for pics. 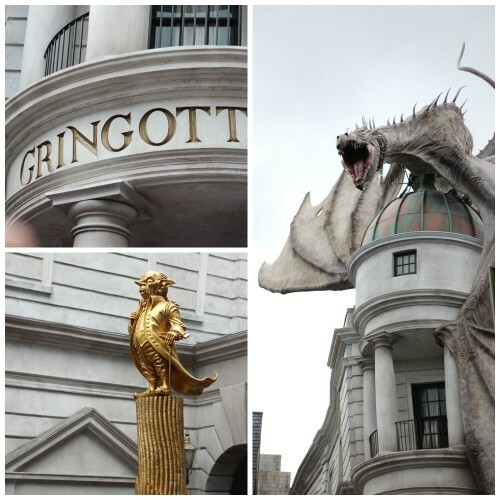 No trip Universal Orlando in one day is complete with a visit to Diagon Alley and a ride on Harry Potter and The Escape from Gringott’s. As you can imagine this area of the park is the most popular so plan accordingly. 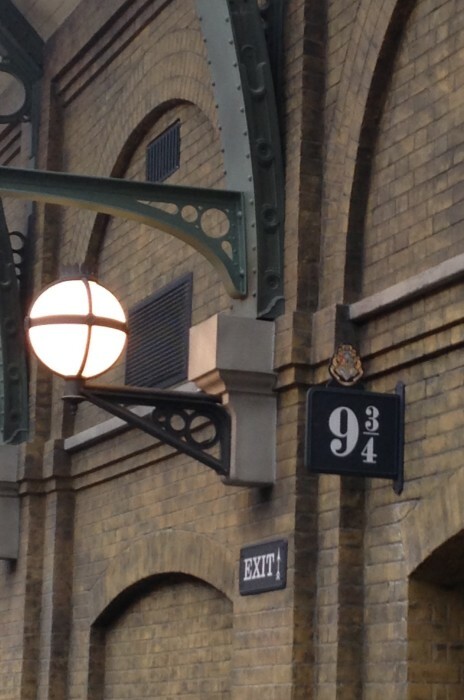 Some says it’s best to wait until the end of the day close to closing time to ride Escape from Gringott’s and explore Diagon Alley. Kids (and adults!) 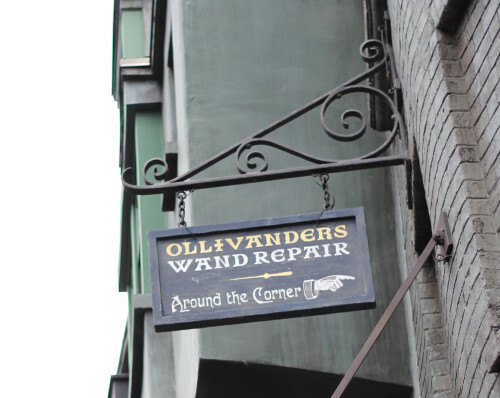 will want to stop by Ollivander’s and purchase allow their wand to choose them. Note that there will be a line for Ollivander’s! 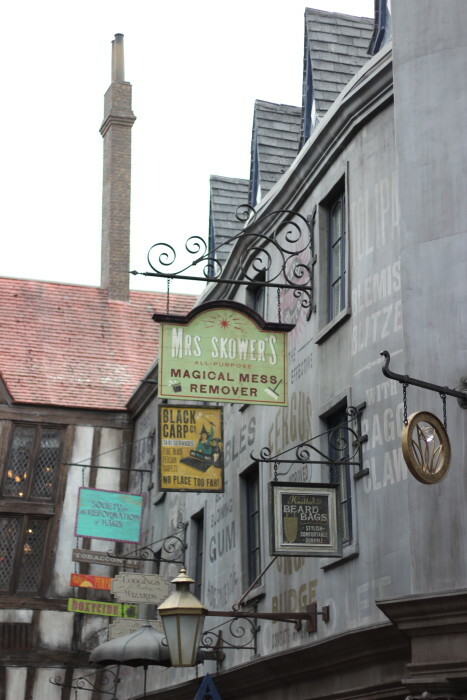 If your child can’t live without a wand (and the interactive experience throughout The Wizarding World of Harry Potter that goes along with it) you’re best bet is to head straight to Ollivander’s as soon as you enter the park at opening. Alternatively, you can purchase an interactive wand online before your trip. You’ll miss out on the Ollivander’s experience, but still be able to engage with the interactive sections throughout the Wizarding World. Honestly, that probably the best strategy if you’re trying to see Universal Orlando in one day. 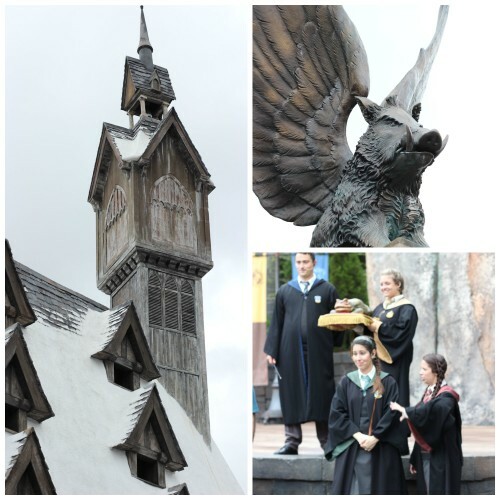 Ok, let’s take the Hogwart’s Express from King’s Cross Station and head over to Hog’s Meade at Islands of Adventure! The Hogwart’s Express is more than just a ride from Universal Studios to Islands of Adventure and back. It’s a ride in itself! You’ll love watching out the window and seeing Harry’s world come to life. When you arrive at Hogsmeade, head straight for Harry Potter and the Forbidden Journey. You’ll feel like you’re actually playing Quiddich (and watch out for those dementors!) 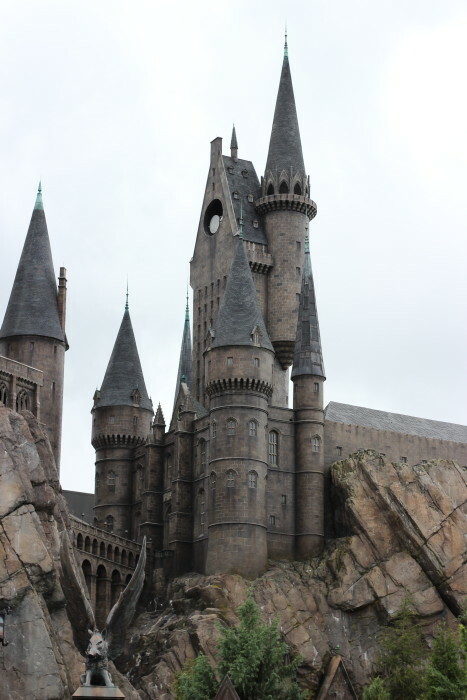 but half the thrill is experiencing Hogwart’s itself. Absolutely unforgettable. The Hogwart’s Express will allow you to bring food and drink aboard, and since you’re doing Universal Orlando in one day, my advice is to skip the village of Hogsmeade for now and head straight from Harry Potter and The Forbidden Journey to the other attractions at Islands of Adventure that you just can’t miss. 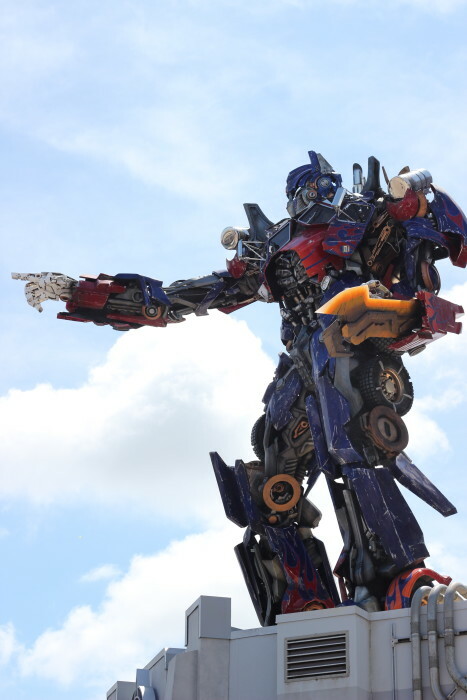 The technology on this one is as cool as the Transformers characters. She’s a little scary as you can tell from our faces! I didn’t get a chance to ride The Incredible Hulk Coaster, which means I’ll need to visit again soon. I hear it’s a must for roller coaster fans. 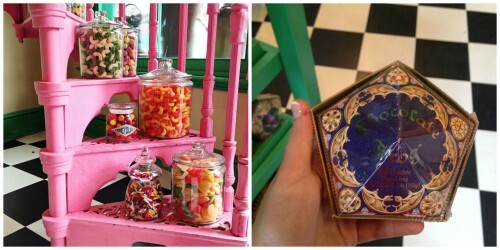 Visit Honeyduke’s for classic Harry Potter favorites including chocolate frogs of course! 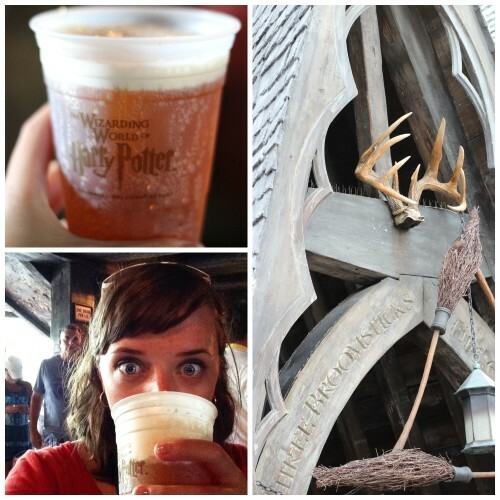 Don’t forget to have a Butter Beer at The Three Broomsticks! There are other butter beer stands around Hogsmeade so if The Three Broomsticks is too crowded, don’t despair. Catch the Hogwart’s Express with your butter beer in-hand and enjoy the ride back. If you need to see Universal Orlando in one day due to time constraints, I hope this guide helps you make the most of it! If you’re lucky enough to stay overnight, check out Booking.com for the best deal on a nearby hotel.